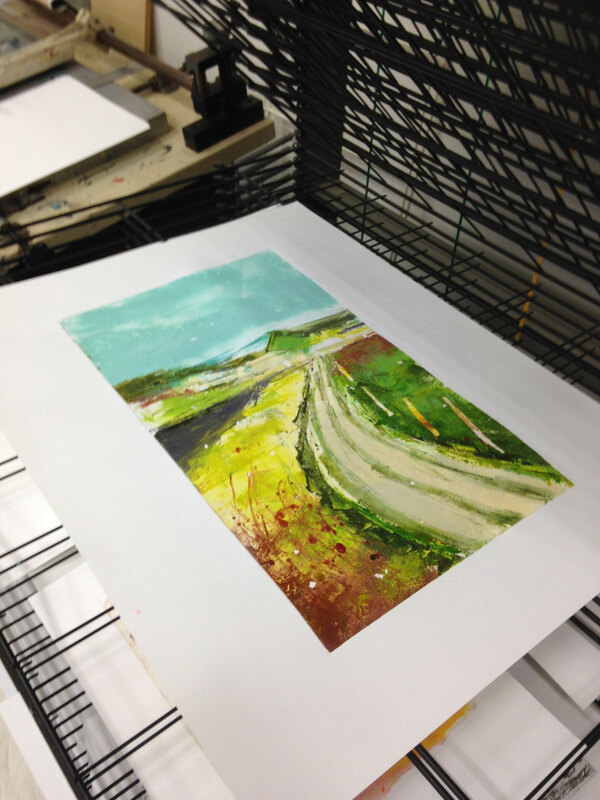 A lot of people ask ‘what is a monoprint and how is it printed’? Well here are a few pictures to help explain. 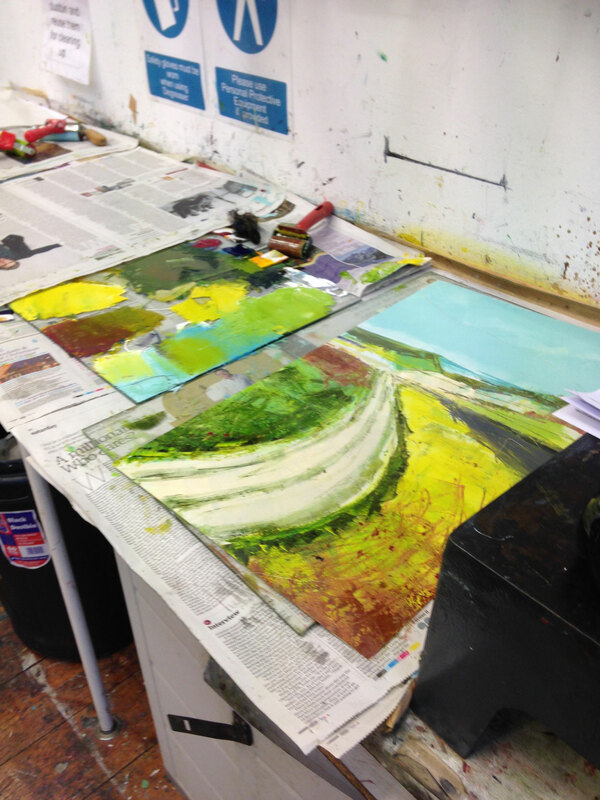 I start by mixing oil based printing inks on a piece of glass to create my colour palette. I then use rollers to ‘paint’ my design on to a printing plate (as the ink needs to be really thin). 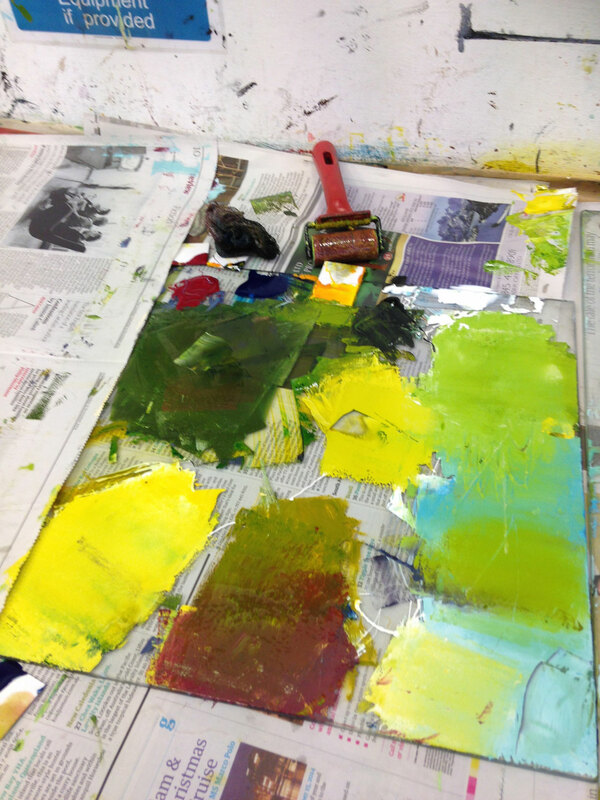 This ‘printing plate’ is really just a sheet of acrylic and can be any shape or size. Some people use a metal plate. Here you can see my ‘plate’ as I work on it. Once the colour is on I can make marks, remove or smudge ink and lay on shapes, paper masks – anything really to create the look I’m after. 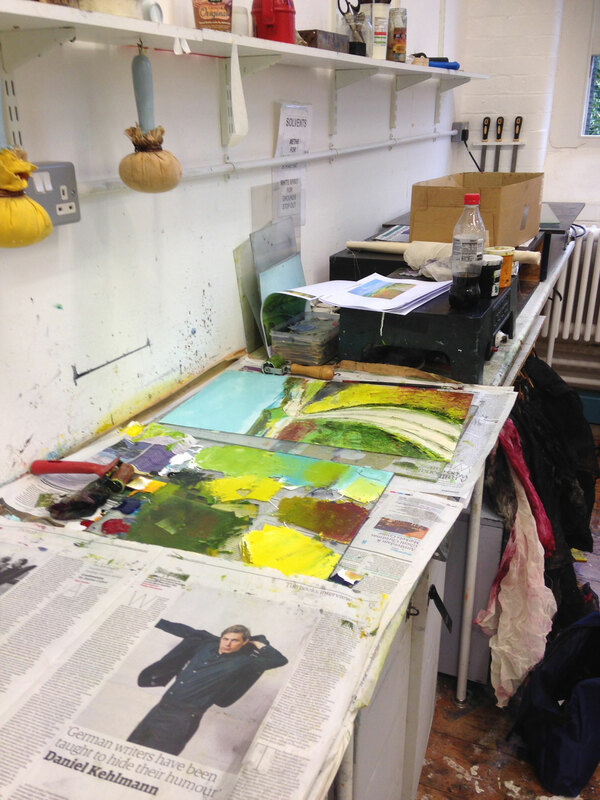 It does get rather messy, that’s why I do my printing at The Omega Centre and not at home! — at Omega Centre. Once I’m happy the printing plate is placed face up on the Albion Press. It’s like a huge mangle. I then lay pre-soaked paper on top of the plate. Add some newsprint on top and then turn the wheel. 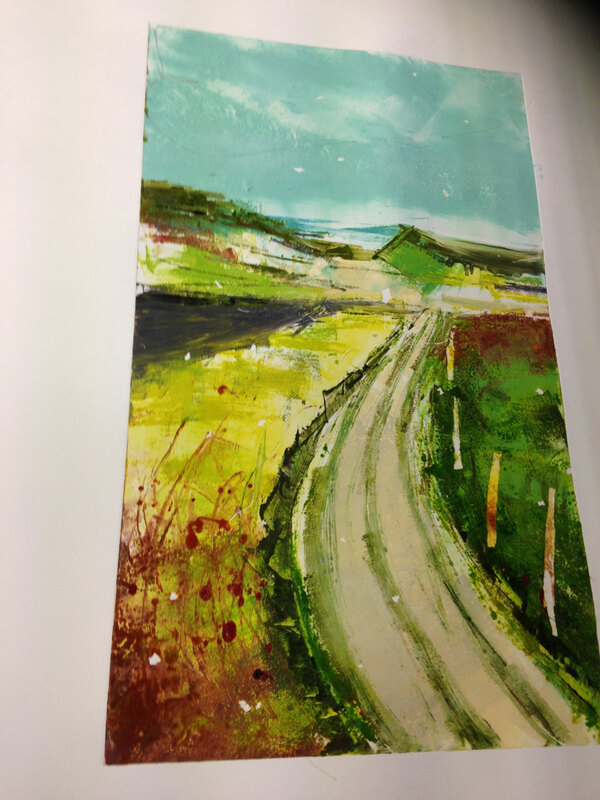 Here is the monoprint on the drying rack. It can take up to a week to dry. I often than add additonal details and some colour once dry using chalk pastels. You can see the finished effect and others like it at the Printmaking 2015 Exhibition at The Oxmarket, Chichester in November.